This a three stranded necklace strung on brown leather that features hand carved bone birds and Baltic and butter amber chips. It has a brass lobster clasp and hangs 12" from the back of the neck. 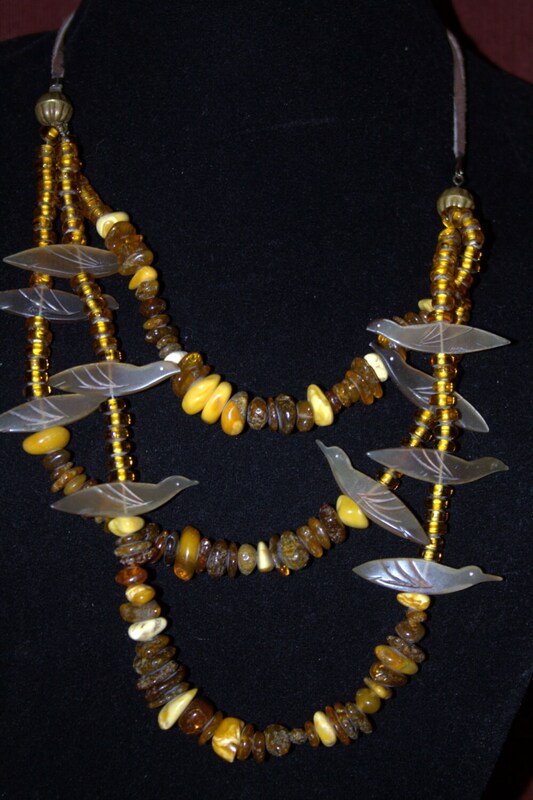 It has amber toned, antique German glass beads and brass melon beads from India. These are old beads and cannot be found anymore, making this a unique and one-of-a-kind piece.